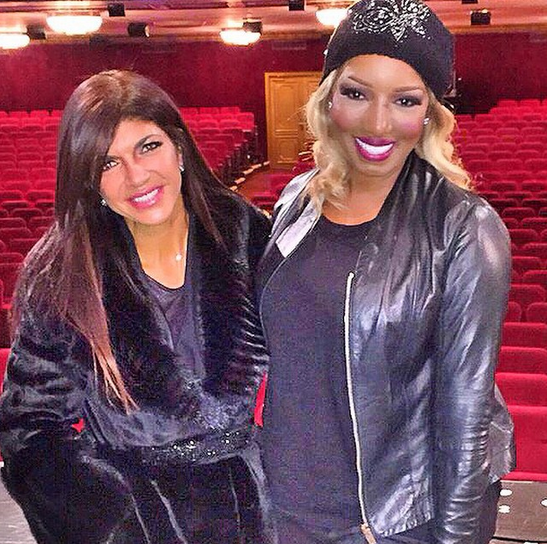 Teresa Giudice and her four daughters visited Nene Leakes on the set of her Broadway show, Cinderella. Teresa, Gia, Milania, Audriana, and Gabriella watched Nene and her wig play the evil step-mother during the New York performance. Afterwards, Nene took to her Instagram to drool over Tre for blessing her with her presence. 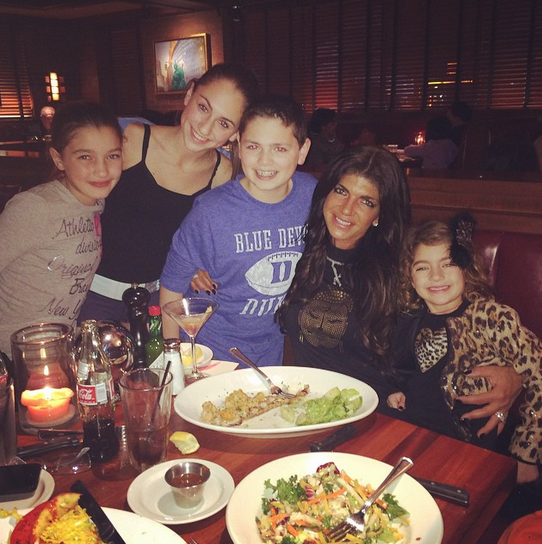 "My girl Teresa Guidice came to Cinderella last night with her beautiful daughters to support me! I love the girls! They were so fabulous! And I loved seeing Teresa. She looks so good and she's a super strong woman!" Do you think Nene loves her some exclamation points?!!! Everything is a damn exclamation!!! She's so excited and so fabulous!!! 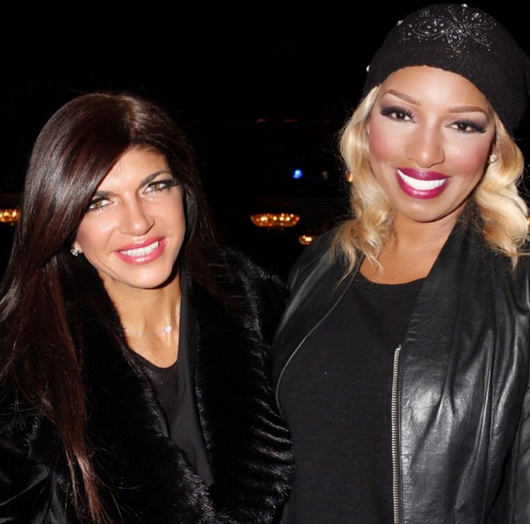 The Real Housewives of New Jersey star is due to turn herself in to a Federal prison on January 5, 2015. It's good to see she's enjoying time with her family. But um, where's Juicy Joe? Nene girl, wtf?? That face tho. Teresa and her daughters were living it up in the city. They went out to dinner and enjoyed a hockey game. 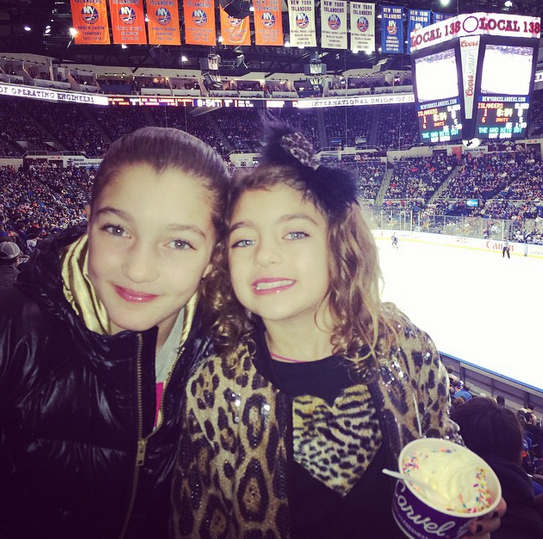 Who knew the Giudice ladies were fans of the sport? This picture of the girl group is pretty tame, but the cover they did for Britney Spears' song "Circus" was absolutely in-effing-appropriate. I'm talking teased hair, full-face of makeup, and lingerie-type outfits. Allegedly, Teresa dropped $10K to get the video filmed and produced. I could think of 10,000 other ways she could have spent that money, like ummm how about you pay your restitution biatch! It's sad that this is what little girls think they have to do in order to make it in the music business. And Gia can't sing for shyt. Remember that song she howled for Milania? Then you were one, then you were two, then you were three, then you were four, and now you are fiveeeee. Stahhpppp!!!! Hell naw, Nene. Stop this ish right now. why would you repost that video of those young girls dancing like that? if you find it so appalling then don't put it on your site.